Last sunday was not a good weekend, from a software usability point of view. I had not worked with the laptop (running 64-bit Slackware-current) for a few days and thought I’d do some preparation work for the upcoming KDE release (you know, checking out if any dependencies needed adding or updating, build script checks and such). However, I spent most of my time swearing at the Firefox browser. What happened? I still do not know the cause, but within seconds of starting Firefox, it would consume roughly 70% of all available memory… that is 2 GB of real RAM and 3 GB of swap. Even with one tab open, and a simple HTML page loaded, and with all my add-ons disabled, the situation did not improve. Let me tell you, in such a situation a man can go nuts! Every click on a Firefox menu or button, or a page flip, would cause the laptop to freeze for up to 20 seconds while Linux was swapping massive amounts of useless data back and forth between RAM and swap. Finally and enraged, I killed the firefox process, deleted my ~/.mozilla/firefox directory (to be honest, I renamed it) and fired up the browser again. And voilà! Firefox was behaving like a gentleman again. Of course, that left me without my bookmarks, browsing history, browser preferences, and saved passwords. Or did it? 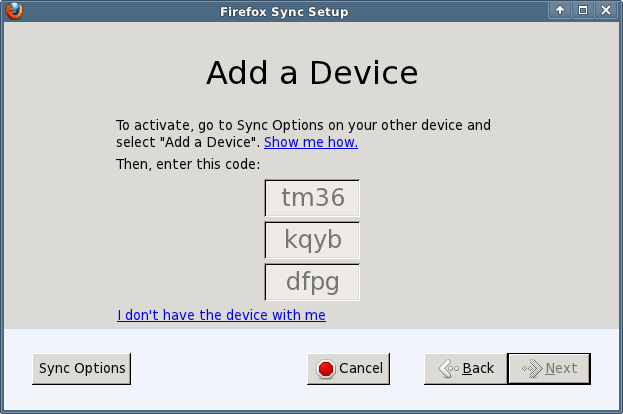 A month or so ago, I decided to try the feature which is supported in Firefox since version 4, called “Mozilla Sync”. This feature allows you to store your bookmarks, browsing history, browser preferences, and saved passwords on a remote server. It even allows you to work on multiple computers and have the same Firefox configuration on all these computers. That’s a pretty cool feature. I have setup sync on my Android phone’s Firefox browser too. Having enabled the sync feature was my life saver during this weekend horror show! After I had removed the ~/.mozilla/firefox directory I quickly configured Firefox with my sync key and moments later I had my old browser configuration back… sans the ludicrous memory consumption. I was a happy puppy again. That could have been the end of my blog post. However I wrote this as a preamble to what I am going to show you next – how to setup your own Sync Server at home (or at work). 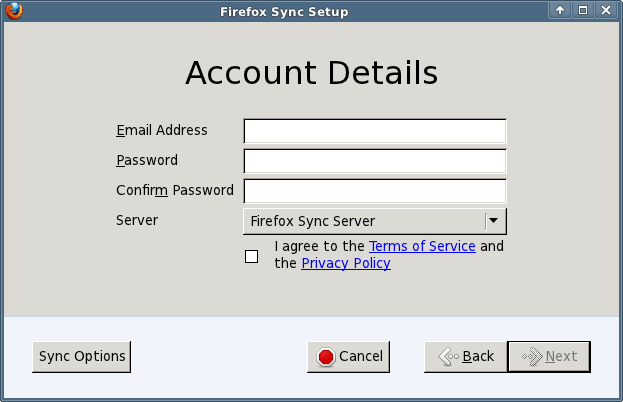 When I was contemplating the (dis)advantages of using Mozilla Sync, I was not too fond of the idea that the Sync Server which Firefox will use by default is hosted by Mozilla. Even though your data is supposedly being encrypted with your unique sync key before it gets uploaded to Mozilla, it feels awkward to see all your passwords and browsing data being transfered to a 3rd party. Furthermore, the geek in me was just dying to setup a sync server of my own. Luckily, Mozilla is open as always and makes the Open Source Sync Server code available to everyone who wants to play with it. And setting it up proved to be not difficult at all. 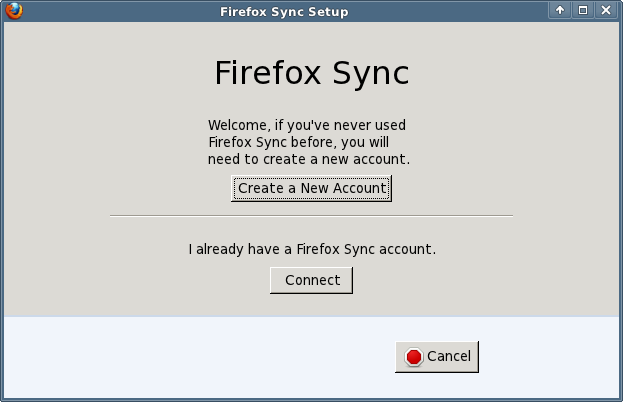 Note: Mozilla have re-designed and re-written the original Sync Server (it was called “Mozilla Weave Server” at the time, and was almost impossible to setup… I tried, back in october 2010). 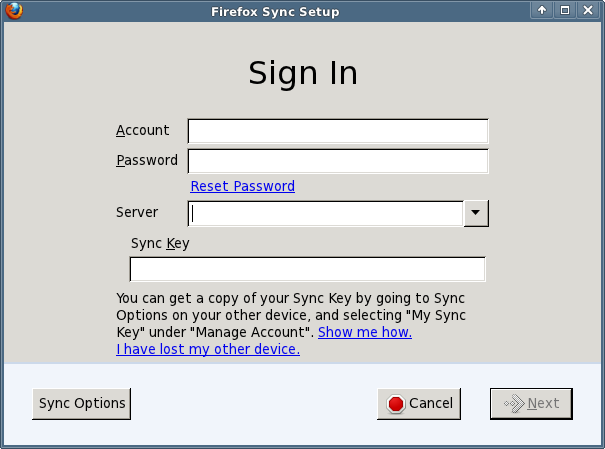 It’s now written in Python, and the steps to create your own Sync Server are described on this page: http://docs.services.mozilla.com/howtos/run-sync.html. That page is what you should follow. The rest of my article tries to bring more detail to the process of configuring your Slackware box to become a real Sync Server. Of course you want to install this on a Slackware server! There are some explicit dependencies as mentioned on the Mozilla page I referred to earlier, but python 2.6 and sqlite3 are already suppied by Slackware, and I created a package for virtualenv (for Slackware 13.1 and 13.37) which you can download here: http://slackware.com/~alien/slackbuilds/virtualenv/ . $ hg clone https://hg.mozilla.org/services/server-full/ . Now, this server is ready to run, but unless you make some configuration changes it is not going to do you much good. By default, the server stores your sync data in a sqlite database, which is fine with me (you can use a real MySQL server database if you want), but it will create the sqlite database in /tmp which is entirely inappropriate. Further down I will show you what to modify so that your clients’ sync data go somewhere less “volatile”. 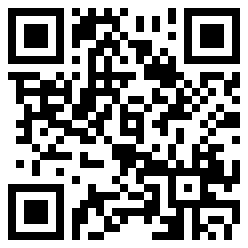 You can play with other options in this file to see what they can offer. For instance, I disabled “captcha” and did not enable SSL, but you may decide that this is important to you. Don’t forget to restart your apache server if you have not yet done so. And now it is time to tell your Firefox browser to use this new service! 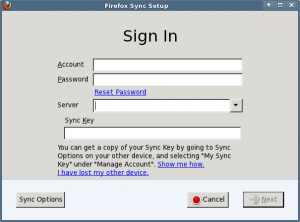 The sync key which is associated with your sync account can be retrieved at any moment should you have forgotten to write it down. Just go to a computer which has been setup for Sync, and open your Firefox browser’s Preferences at the “Sync” tab. Under “Manage your account” you will find a menu item to display your key (as well as a way to change your account’s password). More help can be found at http://support.mozilla.com/kb/what-firefox-sync . Posted: 31 August, 2011 in Slackware, Software. Very interesting post, I will probably try to install this service soon. Nice! Thanks for the builds. [Mon Jan 02 02:29:00 2012] [error] [client 96.53.116.78] mod_wsgi (pid=4902): Target WSGI script ‘/var/mozilla-sync/server-full/sync.wsgi’ cannot be loaded as Python module. [Mon Jan 02 02:29:00 2012] [error] [client 96.53.116.78] mod_wsgi (pid=4902): Exception occurred processing WSGI script ‘/var/mozilla-sync/server-full/sync.wsgi’. Looking at the path names (/var/mozilla-sync/server-full/lib/python2.6/site-packages/paste/deploy/) this seems to be a pre-packaged mozilla-sync server for some other distribution than Slackware. If that is the case, you should talk to the one who created the package. What I used was the code available at https://hg.mozilla.org/services/server-full and the Python 2.6 which is part of Slackware. No issues there. Quote: You then create a new file “/etc/httpd/extra/httpd_wsgi.conf” with the followin…. You then create a new file “/etc/httpd/extra/httpd-wsgi.conf” with the followin…. Regarding dependencies, the make process downloaded the following files, note the version of virtualenv is greater than the version of the package we are advised to install. Which is of no surprise as quite some time has passed since this article was written. So I’m not sure if we need to install the virtualenv package anymore ?? as the make process will download as needed. Perhaps we should chmod 0700 /home/weave as well ? I haven’t tested that yet. Thanks again Eric ! Great job! Those are all valid and useful comments, thank you! I have made sure to implement them into the main article, and made some other enhancements as well. Just hours ago, I installed the new native Firefox for Android on my smartphone and used my sync server to be up and running very quickly. The server is a big time saver. I ran into an issue where I get “Already in Use”. This after I deleted the DB file which I confirmed with sync devs that’s the only location the account name is stored. I was wondering if you had this issue and what would be causing it? hmm.. when I try to enter my brand new sync server url (as sync.domain.lv, with or without http://) into respective seamonkey registration dialog, I see “please enter valid server URL”. Is there anything to do to get around? The only thing remains unclear – if I add a device to the personal sync server’s account – how browser deciphers all the information necessary for connection using just 12 alpha-numerical characters? Or some (a lot of ) information goes to Mozilla anyway? Hi Janis, a startup script would not be needed because the sync server is configured to be part of your Apache service. The point is that the definition line “WSGIScriptAlias / /usr/local/server-full/sync.wsgi” in the “/etc/httpd/extra/httpd-wsgi.conf” file triggers the start of the sync server when a client connects. Might be interestng to find out if this is a Apache 2.2 versus 2.4 difference. I run this on Slackware 13.37 using apache 2.2, while Slackware 14.1 has Apache 2.4. Janis There is a slight change with Apache 2.4 that you need to make in the configurations you can see the changes in the slack docs wiki. I have a config like seen in wiki from the very beginning. Despite that the service is not spawned on reqest for sync and there are NO error messages anywhere – virtual server logs are empty, sync-error.log is not even created. As I wrote before – only bin/paster helps. May be it doesn’t like the fact I use mysql as DB? 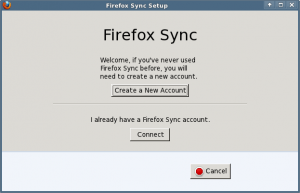 As Mozilla stopped to support old Sync (at least in latest Firefoxes), the topic should be re-visited and reviewed. Curently I ahve no other Idea than to set up the old-style sync server for personal use. But I am still unresolved whether I would want to host just the storage or go full-fledged and also host a Firefox Account server. 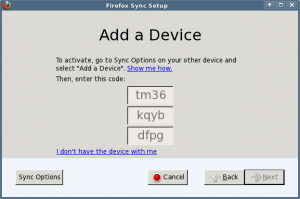 The old sync will not work if you install a new computer with a recent Firefox. So what I usually do: Install an older version of Firefox, configure the Sync using the above article, and then upgrade to the latest Firefox. Old-style sync will remain functional using your private Sync server. 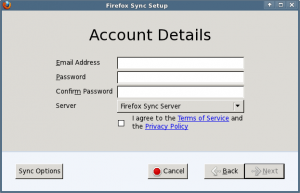 According to https://support.mozilla.org/en-US/kb/firefox-sync-upgrade-frequently-asked-questions the old Sync system should have been de-activated on 30-sep-2015 but so far the browser is not complaining.